"Project Society: a utopia or a dystopia? The authors of this book avoid such extremes, which, though attracting attention, do little to prepare people for actual changes in their working lives. Well-balanced, well-documented and rich in insights, this text analyzes systematically and creatively one of the central phenomena of our times. It should be read by practitioners and theoreticians alike; by students and professors. The transformation has already started." "Kudos for this masterful integration of project scholarship to make a persuasive case for the emergence of Project Society. 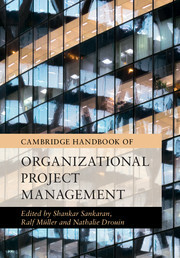 The authors comprehensively employ three organizational archetypes for project organizing to explain how each is uniquely suited to specific project work contexts illustrated by rich cases of practice. Overall, this volume combines both a breadth and depth of scholarship that should appeal to the diverse scholarly communities whose work is skillfully integrated in each chapter." "This book uniquely draws together evidence and insights with regards to the apparent projectification of our societies. 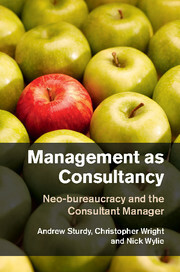 The book benefits from the extensive knowledge of projects and managing projects of the authors, conveyed here through an interdisciplinary perspective. The book is unashamedly polemical making the case for greater engagement with projectification in societies. I am certain this book will provoke further debate which will have significant implications for project theory and practice." "Projects are a critical part of daily life and support our constant need to expand infrastructure, improve living conditions, and thrive in an interconnected economy. Within myriad public and private sector companies, this movement toward the 'projectification' of operations promises benefits and concomitant challenges. 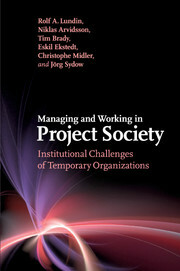 Written by eminent scholars and leading-edge thinkers and coming at a particularly auspicious time, this book tackles, head-on, our necessary reorientation in thinking and behaving to gain benefit from a project environment." 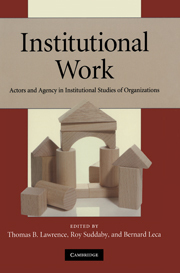 "The authors of this informative book correctly emphasize that as more of our work is carried out in flexible projects rather than stable industrial frameworks, existing institutional supports - including labor laws, education, market relations and political systems - must be reimagined and reconfigured if the potential of the new forms is to be realized." "Many authors seem to be interested in telling others how project should be managed. Fewer are telling people how we should understand the challenges associated with the project society. 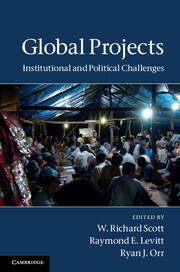 This is focus of this book - to give us a new lens to understand our projects and the society in which we live. 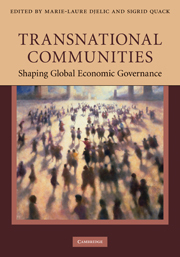 A group of international researchers have joined forces to write this book. I thank them for doing so. The book is much needed." "The use of projects in all areas of both work and play is now endemic, in business, culture, sport and family life. This creates a need for understanding how the new projectified world should be managed, but also how it impacts society in general and people’s lives. 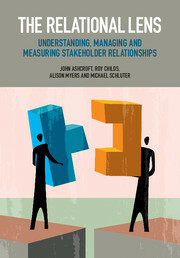 This book is timely, giving a review of what those impacts are and how to deal with them in practice." "We experience an increasing prevalence of projects in all sectors of society. Therefore, management of projects is highly relevant, for private organisations and for organisations in the public and not-for-profit sectors. This book provides great insights in the ongoing transformation together with causes, effects, opportunities and threats. It takes us on a journey to a new world called 'Project Society', where dynamic change is mainly performed through projects. Buckle up and let the journey start!" "… synthesiz[es] a broad constellation of research streams and industry studies to offer readers an invaluable, comprehensive overview of how project-based organizing is transforming work and society."